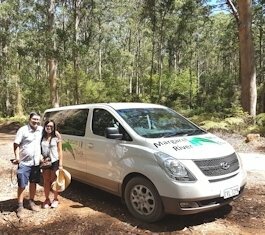 The Fun Wine Tour of Margaret River for Nature Lovers! The Margaret River Wine Region is full of wonderful places to visit. Why not join an expert on the Margaret River Nature Tour who will show you the best the region has to offer during our full-day tours? The Wine Tour Plus will visit iconic and boutique wineries plus some of the most picturesque locations discovering stunning panoramas. If you like scenery and photography, this is the tour for you. 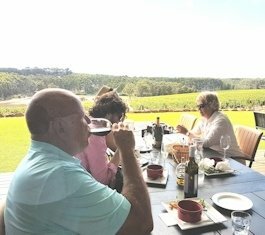 Enjoy great tastings and learn about the landscapes, terroir, history and wildflowers that make the Margaret River Wine Region so unique. With a balance of Nature and Nurture, you will have a fabulous day so click here to book now! 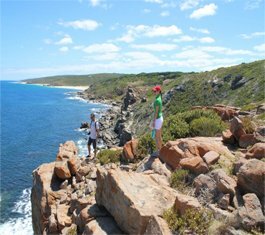 The Scenic Nature Tour Plus will concentrate on our iconic scenery in the Leeuwin-Naturaliste National Park . 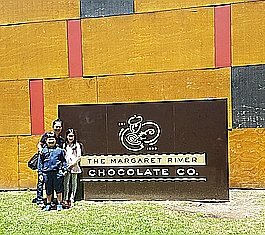 If you prefer to focus on the wonderful food products join the Chocolate & Cheese Tour Plus or let us craft a tour just for you with our Private Tour Plus. Please call for more information about which tours are running. Join the Wine Tour Plus to see stunning coastal scenery, beautiful Hamelin Bay (stingrays), majestic Boranup Karri Forest and a cave. Visit 2 or 3 boutique wineries for free tastings as well as free tastings at chocolate, coffee, olive, jam & nougat factories and many other attractions including breweries and distilleries, depending on time and inclination. Includes a delicious lunch with a glass of wine or beer in a beautiful forest setting. This tour took us on an exploration of the natural features of the Margaret River area, including the cliffs, beaches, forests and caves. As a guide, Dirk's background as a geologist provided us with insights into the rock formations and land forms that we would not have found or appreciated on our own. A nice lunch was provided, and we explored a number of wine and food outlets. I really liked the way Dirk tailored this part of the tour to the interests of our particular group, so it didn't feel like a 'one size fits all' tour, and gave us a great basis to continue our explorations on our own during the rest of our stay. "A perfect combination of Nature and Nurture"
A great introduction to the area. There is so much more than vineyards to see and experience.